Introducing the most advanced design European quality inverted-magnet shallow-mounting universally applicable 6.5"mid-woofer. From the highest quality 38 mm voice coil to the dual layer laminated fiberglass fabric cone structure this driver sets the standard in modern design and classic quality. Dual rare earth magnets grace the handsome sculpted magnet structure with the distinctive PSS Logo. Framed in black powder-coated cast aluminum and capped in the rear with a heavy steel back plate this driver leaves nothing to be desired in a compact high quality, high performance mid-woofer. In contrast to weak designs of the past, the unprecedented powerful robust magnet structure equals or exceeds the motor power of large ceramic structures. This large magnetic structure also possesses superior cooling and is integrated with the acoustics of the cone to improve dispersion and in most installations the sound distribution is actually improved compared to bulky ceramic designs of the past Heavy duty lead wires are embedded in the spider similar to high-end subwoofers and connections are via gold-finished binding posts. Differential fabrics of black fiberglass are laminated to form the cone and thereby ultra-low distortion smooth response and rigid piston-action bass is achieved. The rubber surround molded from the best synthetic elastomers is of the highest quality for damping, quietness and long life. 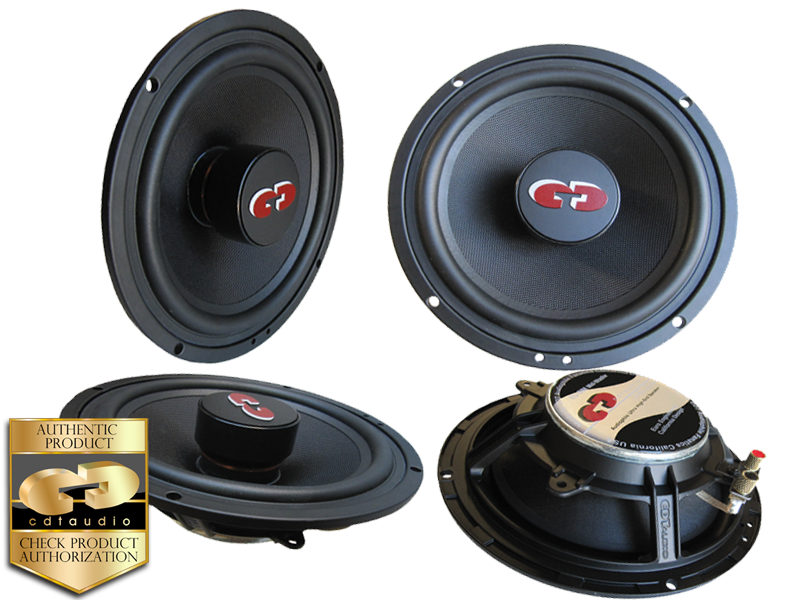 Understanding the basic sound quality and design differences between ordinary subwoofers and CDT QES subwoofers will help you and your installer design a sound system that will far exceed your listening preferences and expectations. Most installations will be actively adjusted and fitted in the tight spaces required. However if active multi-amp installation was not done and the driver was desired to operate full range, an optimal ported box could be utilized.